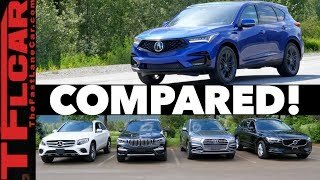 The all-new premium compact SUV keeps its price in check, despite offering more standard and optional equipment. 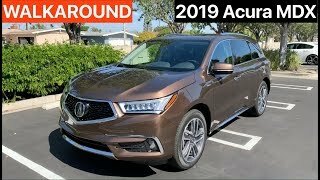 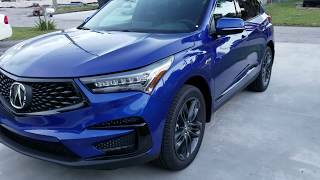 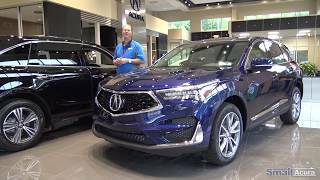 The 2019 Acura RDX boasts a new "Precision Concept" based look, a more potent powertrain and more tech than ever before. 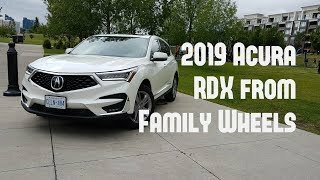 The 2019 RDX will start at $37,300 for the base model before a $995 destination charge applied to all models. 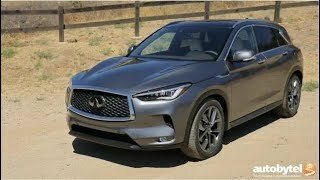 That's the same price as the 2018 model year's base plus the optional AcuraWatch driver aid suite. 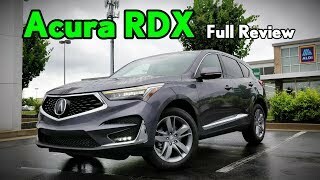 That's convenient considering that AcuraWatch is now standard on all 2019 RDX models. 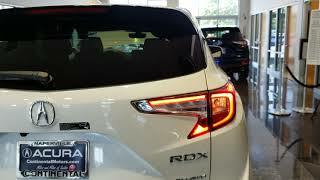 Technically, this means the RDX's starting price is unchanged when you account for the additional equipment. 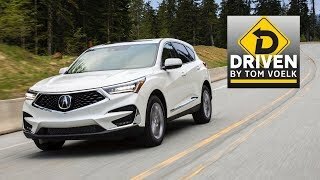 That's looking like a pretty good deal at first blush considering the 2019 RDX also features a new generation AcuraLink infotainment with True Touch interface, Apple CarPlay compatibility, a panoramic moonroof and 12-way power front seats as new standard features. 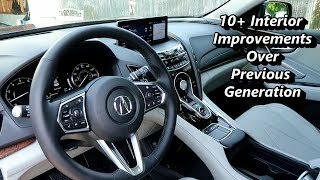 Android Auto will be missing at launch due to technical reasons, but should be added via software update sometime down the road. 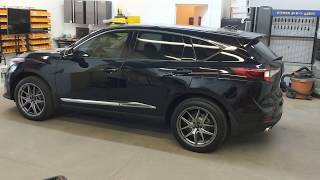 The midtier Tech trim level rolls out at $40,500, adding voice commands and navigation, blind-spot monitoring and rear cross-traffic monitoring, parking sensors, leather seats and a 12-speaker ELS premium audio system. 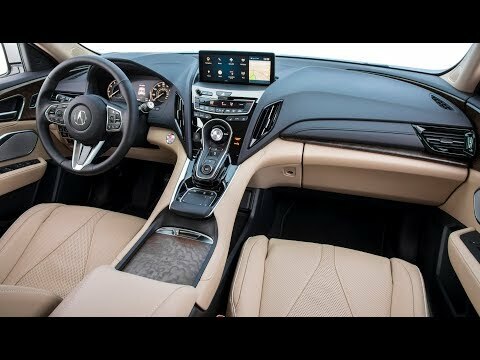 An A-Spec upgrade to the Tech model adds unique exterior and interior styling, UltraSuede seat trim and a 16-speaker ELS Studio 3D audio upgrade for $43,500. 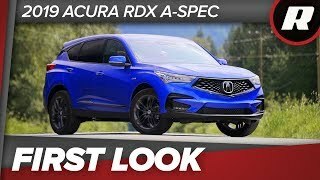 Finally the top-tier RDX Advance gains an adaptive suspension, improved active sound damping, a surround-view camera system and a head-up display upgrade to the AcuraLink tech. 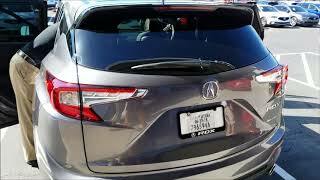 Sixteen-way power seats, a hands-free power liftgate and many more bits and bobs round out this $45,400 trim level. 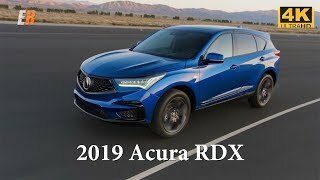 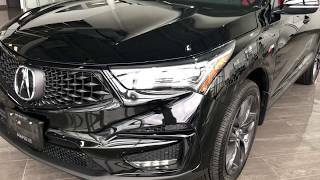 All 2019 Acura RDX models are powered by the same 2.0-liter turbocharged VTEC engine making 272 horsepower and a vastly improved 280 pound-feet of torque with a standard 10-speed automatic transmission and front-wheel drive. 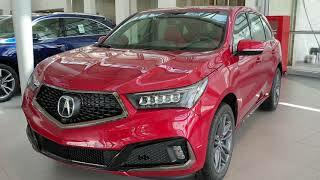 An improved fourth-generation of Acura's Super Handling All-wheel Drive (SH-AWD) system is available with a $2,000 option for all models.